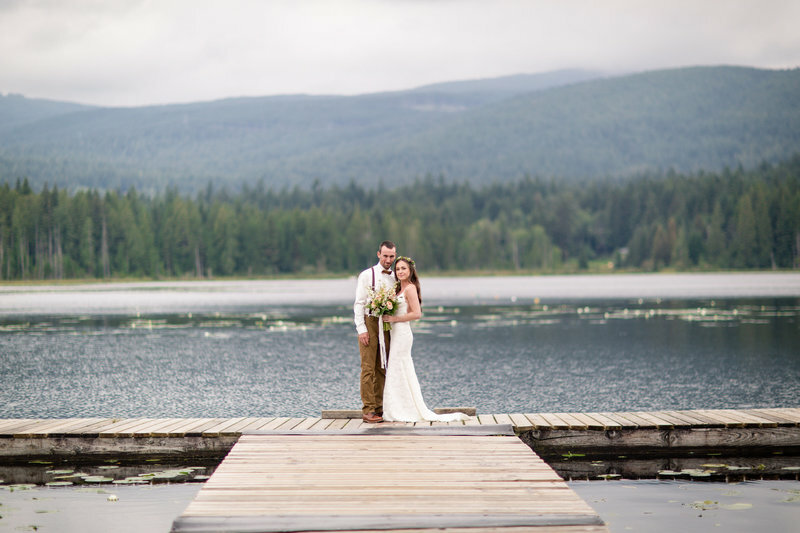 As a professional wedding photographer I love Whonnock Lake for all it has to offer. 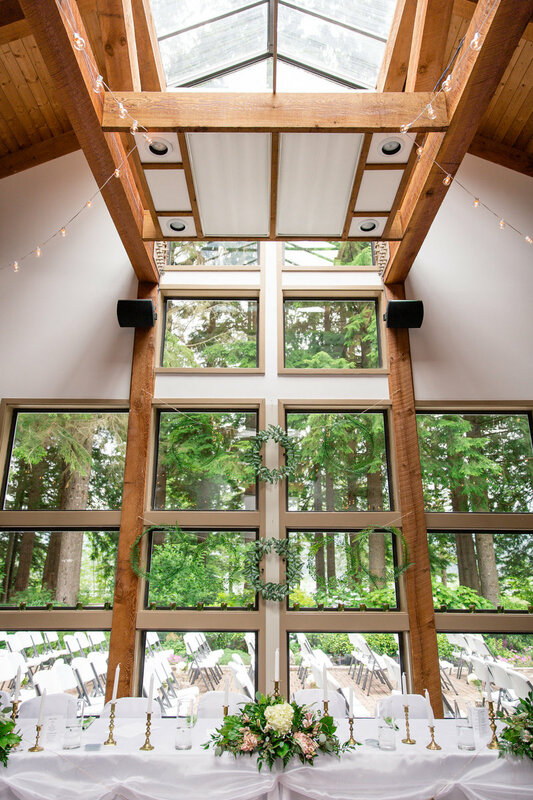 From the indoor reception venue with beautiful big windows, overlooking the forest and outdoor wedding ceremony space. 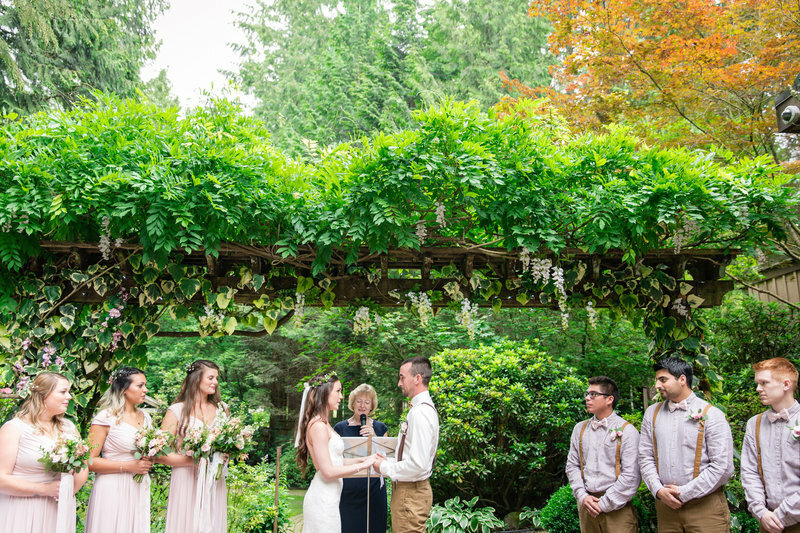 The surrounding trees provide a picturesque backdrop for your woodland wedding day theme. Uniquely managed by the city of Maple Ridge Parks. There are lots of spots for wedding photography for the bride and groom, bridal party and family photos throughout the park. 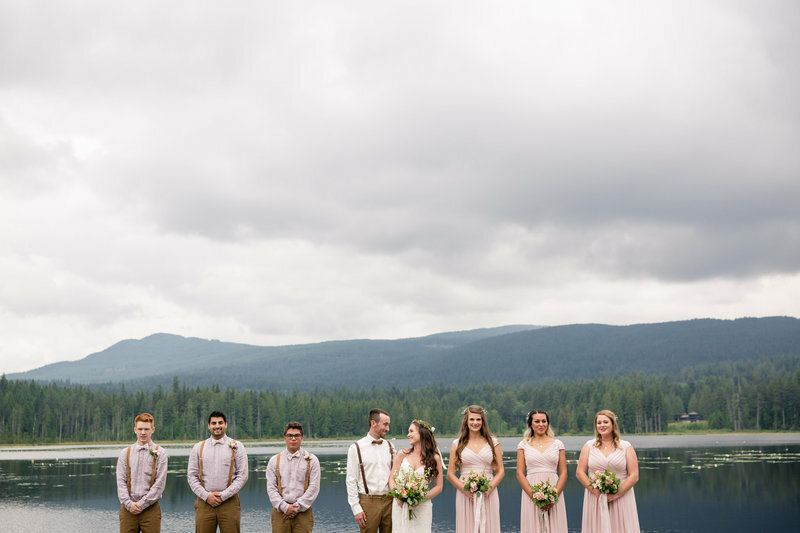 The best place to photograph the group is on the long dock running into the lake with beautiful forest and mountain views beyond. The dock is famous for it's beautiful photos, creating beautiful artwork for your wall. 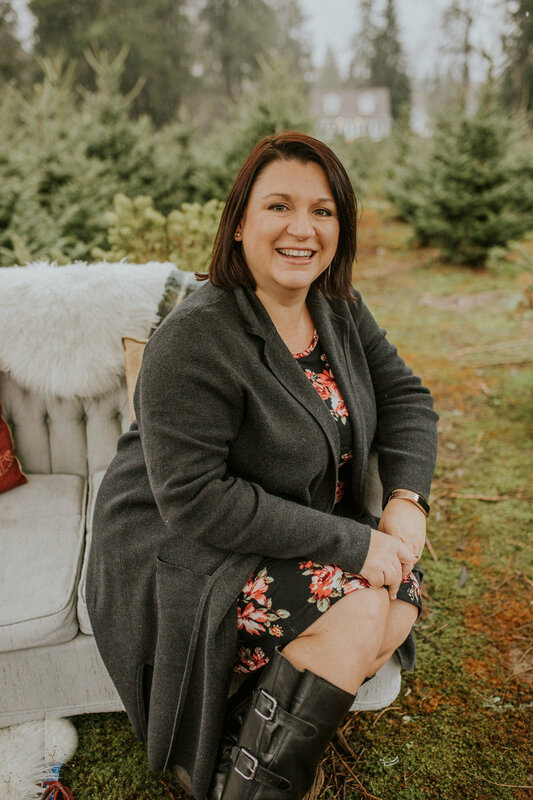 - the best time of year for this venue is late spring to early fall, you want to take advantage of the outdoor space for your ceremony so clear weather is best. 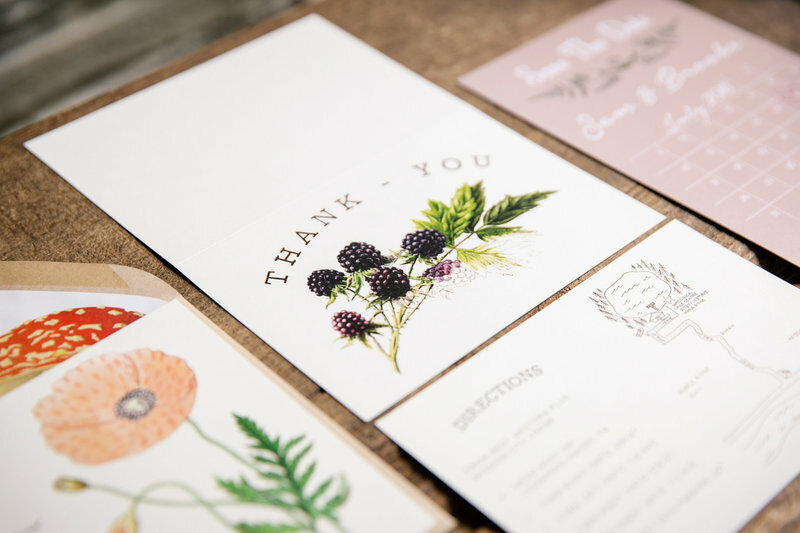 - remember that this is a public space, so there may be people on the dock during your wedding. - don't forget the bug spray! Wedding photographers favourite lakeside venue.